What Should Your New Financial Year Resolutions Be? With the new financial year upon us, there’s never been a better time to take control of your financial future. While most people have trouble keeping one new year’s resolution, here are five you’ll want to try sticking to, if you’re serious about getting your finances back in the black. You can’t improve your finances if you don’t know where they’re at. A good place to start is to prepare a personal financial statement. This can be as simple as a spreadsheet containing all your income and expenditure on a month by month basis. List everything no matter how trivial, from the amount you spend on coffees on the way to work to how much interest you pay each month on your credit cards. Once you’ve done it for a couple of months, you can start to see where your money’s coming from apart from your base salary, and where it’s being frittered away on expenses you didn’t even realise you had. If you start spending less on things like these, you’ll suddenly notice you have more money left in your account, which may just give you the inspiration you need to make it grow by spending even less next month. Few of us believe we are adequately compensated for the work we do, and often we are right. That’s because we haven’t realised our full potential and are content to grind along each day, earning just enough to pay the bills and get by. We all have a variety of contracts and agreements that we take out and then never look at again. Reviewing all of your financial documents can reveal numerous areas where you can save money. Take a look at your credit cards. Do you really need them all? Which ones are charging you the most interest? Why not pay the others off and just have one low interest card? What about your insurance policies. Have you reviewed them lately? Do they still cover you or are they out of date? Are you paying for things you’ll never claim on? Are there better options at lower prices out there? Or probably your biggest debt of all, your mortgage. You’ve heard about those schemes for paying off your mortgage in half the time. Maybe it might be worth looking into? Then there’s all those regular bills that eat up so much of your income. The phone, the Internet, the electricity, the gas – have you seen what their competitors are offering lately? Maybe you’re paying too much just because it’s easier to stick with the devil you know? Take a look at your super. Is it growing as fast as you need it to? Consider kind of investment returns is it gleaning and how much are you paying in fees. There are plenty of superannuation funds out there and the market is highly competitive, so think about taking a look at some other options. By reviewing your financial documents, you have the potential to save thousands of dollars a year by switching to better deals and providers. It just takes the will to sit down and go through them. And speaking of wills, you should review that as well. Your assets and beneficiaries may have changed since you first made your will, so it may need to be altered to reflect your current situation. 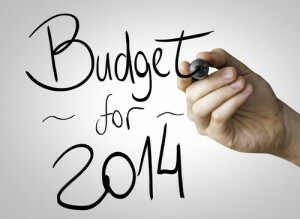 So there you have it – five good ways to get your finances moving in the new year. Another good way would be to get some financial advice. They might charge you by the hour, but it would be money well spent if they showed you how to save even more. Maybe that can be next year’s resolution?